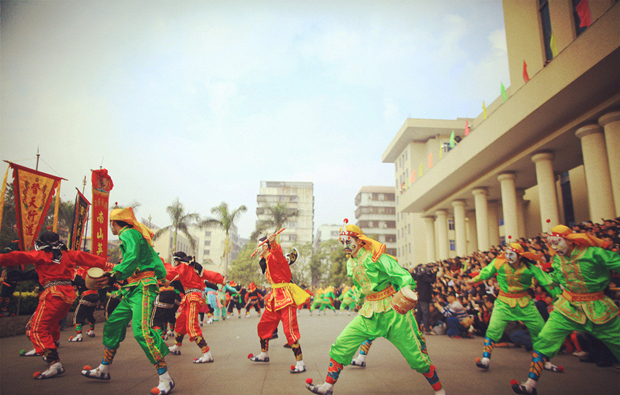 About: Ying Ge Wu is a kind of folk plaza dance combining dance, Nan Quan (Southern Chinese Boxing), and drama acting into one. The dance team is divided into front acting and rear acting. 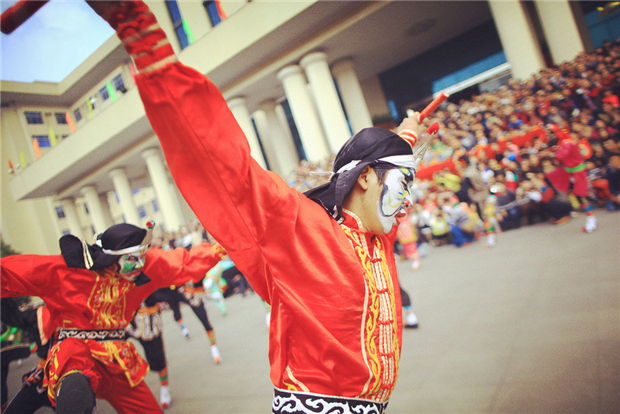 The front acting is formed by 36 people, sometimes even 108 people for large-scale performance, with each one holding a pair of colorful sticks. They dance to the rhythm of gongs, drums and the yo-heave-ho type of singing. At the same time they swing the colorful sticks, hit the two sticks against each other to make the sound while moving along, one shout for one step. As for the rear acting, the number of performers is not set, but it wouldn’t exceed 72. They act sideshow performers of various types to go with the performance of the front acting. Ying Ge Wu in Jieyang has been existing for over 300 years and is popular in places like Puning (a county-level city) and Jiedong District. Among them, Puning Ying Ge Wu is the most well-known, making Puning “The Hometown of Ying Ge Wu”.